Derma Vibrance Review: Does This Product Have Any Adverse Effects? Derma Vibrance is a wrinkle supplement that presents itself as an alternative to cosmetic surgery or injections (such as Botox) and claims to have comparable results in presenting a healthy appearance in your face’s skin. 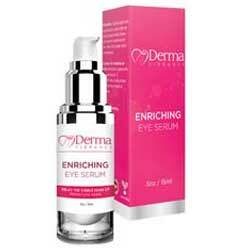 It is sold in containers of .5 fluid ounces each, and is billed as an eye serum, at least primarily. The company offers a 14 day trial for the product, with your only cost being about $3 in shipping and handling; however, if you do not cancel within those fourteen days, you will be enrolled in an auto-shipment program which will send you a fresh supply every thirty days while billing your card $97.21 each month. Unfortunately we could not find detailed information on the ingredients in this product, or indeed a general ingredients list at all. 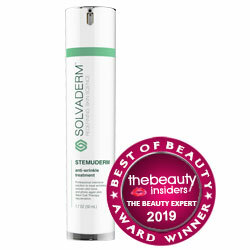 This does not build confidence in the quality of the product; however, there were several references to peptides and collagen, both of which have been used in other wrinkle supplement creams and serums. However, no further information was provided. While no specific instructions were provided by the manufacturer, similar products have usually required you to pat a small amount of the product into the skin beneath and around your eyes, once or twice daily. The product itself may have clearer directions. Derma Vibrance does not present much to the discerning customer. While it promises to support a healthy appearance and makes indirect references to being a superior option to surgery or Botox, there is no clinical information provided to support their assertions of a positive outcome from the regular use of this product. Indeed, the ingredients aren’t even revealed – a proprietary formula can be understood, but even the basic functions of the product are barely described. In addition, the automatic subscription program is extremely expensive for the amount of the product that you receive. You deserve better for your hard-earned money; please shop around thoroughly and choose a product that suits your needs.